Reach 30000 points within 17 second to complete the level. This level is easy but need a good way to complete this level. 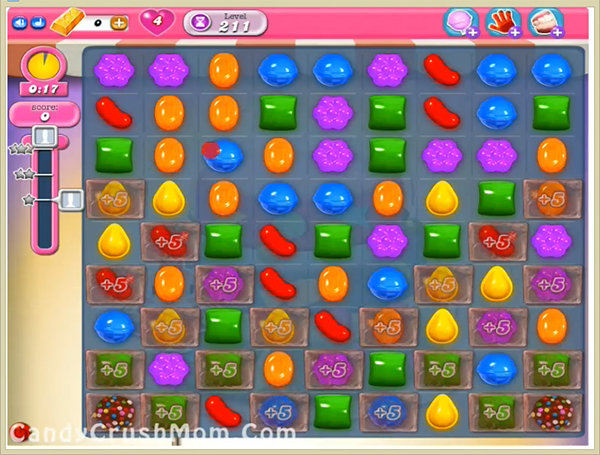 For this level try to play near to time bonus candy or break time bonus candy with any special candy like colorbomb to increase time. You should play more from bottom after it will shuffle candies everywhere then make special candy anywhere you get chance. We completed this level with 90680 score using same trick and break colorbomb that help to get time bonus candy plus got three star score at the end of the level.